Update (Dec. 2017): We still believe Sea Foam SS14 Cleaner and Lube is the best fuel injector cleaner on the market. See our detailed review below the video. One way to keep your car running great for years to come is by using only the best fuel injector cleaner available. It’s just a fact that overtime gasoline will leave harmful deposits in your engine. Your fuel injectors sit at a very critical point in the fuel system and can cause many problems if they are not cleaned regularly. Fuel injectors atomize your gas into small particles for maximum efficiency. They do this by forcing the fuel through a very small nozzle. Overtime carbon deposits will build up within the injectors and lower their efficiency or clog them completely. 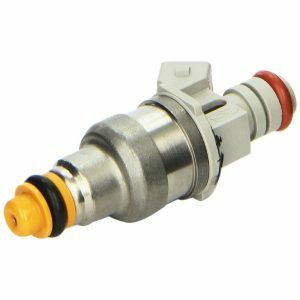 Any restrictions in the fuel injectors can reduce the amount of gas that enters the cylinder, greatly lowering your power and fuel mileage. That’s why it’s important to use a high-quality cleaner to prevent additional deposits from occurring. Whether you are at the gas station, your favorite auto parts store or watching the big game on TV, ads for fuel injector cleaners are everywhere. Which one should you buy and do they really work? We break down the facts below and give you our pick for the best fuel injector cleaner on the market. 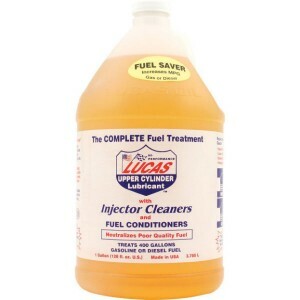 Up until recently I recommended Lucas Oil Fuel Treatment as the best fuel injector cleaner on this site. Yes, I still believe in the stuff, but after recent test, a new winner has appeared. You may have heard of Sea Foam Motor Treatment before – I know I have. It seems like the majority of my gearhead friends are in love with this stuff. However, I didn’t realize it could also be used to clean fuel injectors. What makes this special mixture of cleaning oil and lubricating oil so unique is that it can be mixed with your engine oil or poured straight into your gas tank. 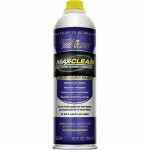 It will get rid of harmful deposits and carbon buildup no matter where you put it. Unlike other fuel treatment, you’ll need a little technical know-how to get the most out of a single bottle. To clean your fuel injectors, Sea Foam Motor Treatment needs to be poured directly into a vacuum line that feeds into all cylinders. The Sea Foam website recommends locating a PCV hose or the vacuum brake booster line. If you are unfamiliar with vacuum lines, you should consult a certified automotive technician or ask your know-it-all buddy for help. Before you disconnect this line, you’ll need to start your engine and let it idle until it has reached normal operating temperature. At this time you can disconnect the vacuum line and begin SLOWLY pouring in the Sea Foam Motor Treatment. You will only need to use about 1/3 to 1/2 of the can. As you are pouring the cleaner into the vacuum line, the engine will begin to run rough – don’t worry, this is normal. However, you don’t want to pour it fast enough that it causes your vehicle to stall. Now, turn off your engine, reconnect the vacuum line and let the engine sit for 5 to 10 minutes. This cool down period is called a “hot soak” to allow the cleaner to penetrate the carbon deposits inside your engine. Next, you’ll need to restart your engine in a well-ventilated area and take it for a test drive. As the cleaner continues to run through your engine, the exhaust will give off additional fumes. Continue to drive for about 5 miles to allow the cleaner remove any remaining deposits from your engine. This process should be completed once per year or every 15,000 miles. If this sounds like too much work, you may want to consider one of the other fuel injector cleaners I recommend such as Chevron Techron Concentrate Plus Fuel System Cleaner or Royal Purple 11722 Max-Clean Fuel System Cleaner. Yes, you can pour Sea Foam Motor Treatment directly into your fuel tank (1 oz per gallon of fuel) to add lubrication, control moisture and stabilize your fuel. However it will not be as effective as pouring it in via a vacuum line. I should also point out that it works great with both gas and diesel engines. Many fuel injector cleaners are designed specifically for gasoline powered cars with electronic fuel injection. However, Sea Foam Motor Treatment is designed to be used in a wide variety of applications including gas, diesel and carbureted engines. Having trouble passing your emissions or smog tests? Give this a shot – you’ll thank me later. But, don’t take my word for it. 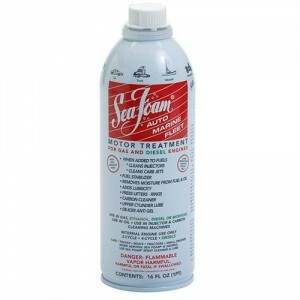 Sea Foam Motor Treatment has hundreds of positive reviews on Amazon! 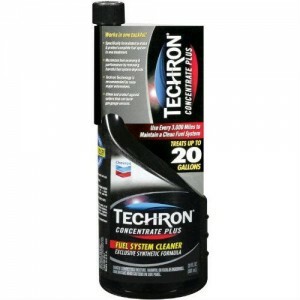 In our tests to find the best fuel injector cleaner our runner up was Chevron Techron Concentrate Plus Fuel System Cleaner. 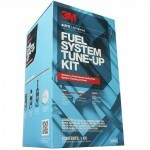 It will help you improve fuel economy and increase performance with just one application. It contains Polyetheramine (PEA), which is the strongest type of detergent found in the leading brands of fuel injector cleaners. 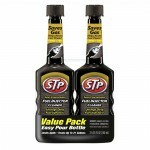 This special formula will clean the entire fuel system including intake valves, fuel injectors and combustion chambers. I should also point out that this cleaner is also compatible with all ethanol fuels and even E85. 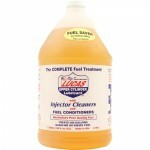 Our top pick for the best fuel injector cleaner was Lucas Oil Fuel Treatment. While not branded as only an injector cleaner, it is designed to clean your entire fuel system. It includes both injector cleaners and fuel conditioners in one bottle. We chose the 1 gallon bottle over the typical 12 oz. formulas based on value alone. If you decide to go with a small bottle of fuel treatment you may not get the same results we received after using Lucas Oil consistently over the last six months. All you need to do is add 2 or 3 ounces of fuel treatment for every 10 gallons of fuel. Preferably you should add it to an almost empty tank before you fill up. 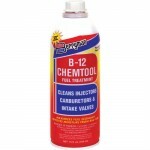 This prevents the treatment from getting diluted or floating to the top of your fuel tank. Want to see results faster? Why not add more than the recommended dose? Using more treatment than suggested has no negative side effects on your engine. Many customers have found that they’ve greatly increased their fuel mileage after using Lucas Oil Fuel Treatment. If you drive a car with over 50,000 miles you too could see an improvement. 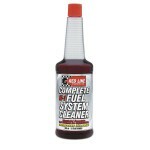 Not only does this fuel treatment clean your fuel injectors but will help your engine operate a maximum efficiency. This is the result of super slick oils and additives that have high detergent action. Editor’s Note: When used in diesel engines, Lucas Fuel treatment neutralizes the harmful effects of low sulfur diesel found at most gas stations today. Modern fuel injected cars are complicated. This makes them difficult to clean and maintain even for the most mechanically savvy. One way to clean your fuel injectors is to put them in a special ultrasonic cleaning machine. Going this route is expensive and lengthy. Not to mention, you can’t drive your car while your injectors are being cleaned. The good news is that there’s an easier way. In fact, you are only three steps away from having a clean fuel system that runs like new! Now all you need to do is fill up your tank and start driving. The fuel system treatment will begin working immediately and you should notice significant differences within 40 to 50 miles, if not sooner. Remember to repeat this process every month or two to prevent additional build up within your fuel system. Some carbon buildups in your system may not be able to be removed with fuel treatment. To prevent them from becoming worse, continue to use injector cleaner on a regular basis. Overtime the carbon build up will expand beyond your fuel injectors. This can lead to problems with your check engine light and more specifically your catalytic converter. If you want to take your engine maintenance to the next level we recommend using catalytic converter cleaner whenever you use fuel injector cleaner as well. After thousands of miles of driving, your delicate fuel system gets exposed to a wide range of abuse. Driving in extreme hot or cold conditions as well as inevitable carbon build up. To help bring your fuel system back up to speed fuel injector cleaners use detergents to remove buildup and prevent new deposits from forming. Does it actually work? From my own experience and after reading hundreds of reviews on Amazon, I can confidently say that fuel injector cleaner does work. One of our readers even claimed that he saw a $60 to $70 savings in gas after using only one bottle of fuel system cleaner! Before you buy the first bottle you see in your local auto parts store, it’s important to pay attention to the ingredients. The three most common cleaning detergents include polyisobutene (PIB), Polyisobutylene amine (PIBA) or Polyetheramine (PEA). What do each of these do? PIB removes water from system and keeps new deposits from forming. Does not remove existing deposits. 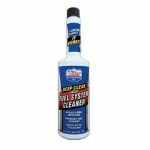 PIBA cleans the fuel system and removes any existing deposits. Requires less frequent applications than PIB cleaners. PEA is the strongest cleaning agent available in fuel additives. It is more effective than both PIB and PIBA. If this was too much science for you, feel free to jump over to Amazon and take a look at the hundreds of real reviews from people just like you. This stuff actually works. Buy a bottle and see for yourself then send me an email and let me know how it worked for you!